Tires play a significant role in a vehicle’s safety. Being the only part of the car in direct contact with the ground, they can affect a vehicle’s handling & braking along with the overall highway safety. So make sure you are aware of all the warning signs of your tires. Whether it’s traction & handling or braking & steering, it has all to do with the tires. Inevitably, tires wear over time. Perhaps that’s the reason why it’s imperative to be watchful for the signs so that you can replace them before something goes wrong. Keep in mind! If tires fail suddenly, it can have serious consequences especially if it occurs on the highway. Tire failure, while you’re driving, is inevitably catastrophic. It’s recommended that the tread depth should never fall below 1/16 of an inch, which is equivalent to 1.6 millimeters. In case you regularly drive on slick & wet pavements, you’d be better off with twice. You may even invest in a gauge in order to measure the tread depth just like the professionals do. But you what! There’s an old yet amazing that won’t even require you to spend a penny but use it. Just grab a Lincoln-head penny, that one you get in your change every day. Insert Abe’s head – up-side-down – into the tread. If you see that Lincoln’s entire head is visible, it means you don’t really have enough tread left. If that’s the case with you, it’s time to take your car into the mechanic and get a new set of tires. While driving, a certain amount of vibration is quite normal, but when it starts to feel unusual, it means something’s off now. It normally occurs when the wheel is out of balance and creates a vibration or shake that gets worse as the vehicle speeds up. Normally, the vibration starts at 40-50 mph and gets more intense as you go faster. This might even indicate that your tires are misaligned, unbalanced or perhaps the shock absorbers are starting to go. It can also happen because there’s a problem inside the tire itself. In case the tire isn’t a problem, the tire can still get damaged due to severe vibration. There can be many other causes of the tires wearing unevenly or perhaps prematurely. The popular ones are misalignment, under inflation or over inflation. In such cases, figuring out the main problem can be really challenging when you have no idea what to look for. Center wear & shoulder wear are the most common patterns caused by over inflation and under inflation. 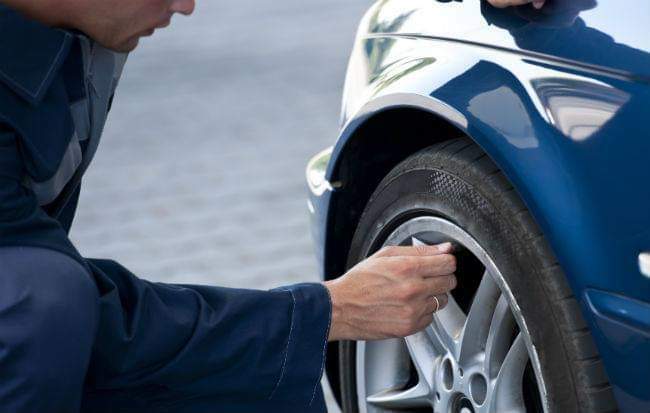 Make sure you keep your tires properly inflated and regularly rotated to reduce the chances of uneven or premature wear after you buy the premium quality car tyre in Egypt.